A4er Lisa Crowne recently took part in a study visit to the Liverpool Biennal with Blue Drum Family Support Agency as part of their ongoing research into the cultural rights of families and children. Over the two days she attended a number of community orientated exhibits one of which was 2Up 2Down. “Over the last 2 and half years, artist Jeanne van Heeswijk, commissioned by Liverpool Biennial, has been working with people from Anfield and Breckfield to rethink the future of their neighbourhood. 2Up 2Down provides a way for local people to “take matters into their own hands” and make real social and physical change in their neighbourhood. Local people of all ages are collaborating in the development of the project, volunteering their time and energy, and committing to play an active part in the long term. 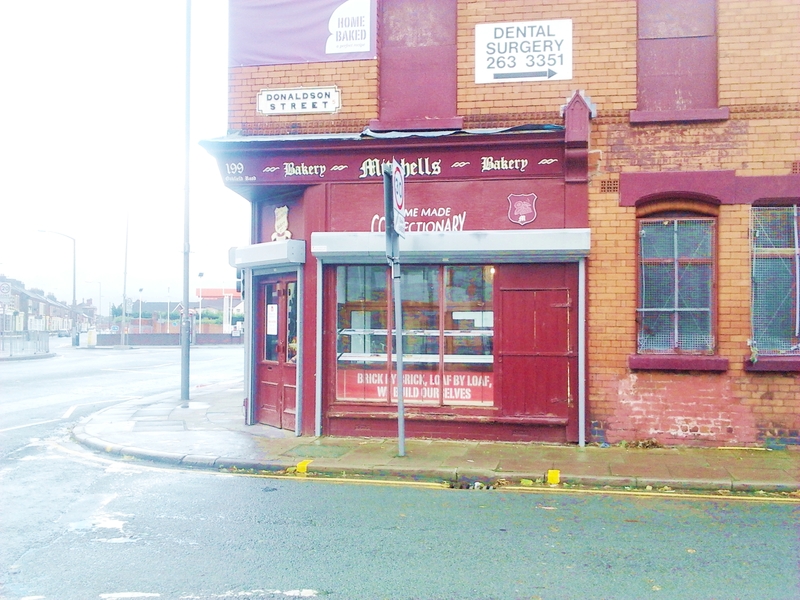 Architects URBED and other design specialists have worked with the community to re-model a block of empty property including the former Mitchell’s Bakery and the two terraced houses next door. Taking the whole community as their “client”, they have designed an affordable housing scheme, bakery shop and kitchen, meeting and project spaces, with the needs of real individuals in mind. The scheme presents a positive alternative to the demolitions and clearances of recent years.